It’s easy to get the verbals confused: which is a gerund, which is a participle and which is an infinitive. 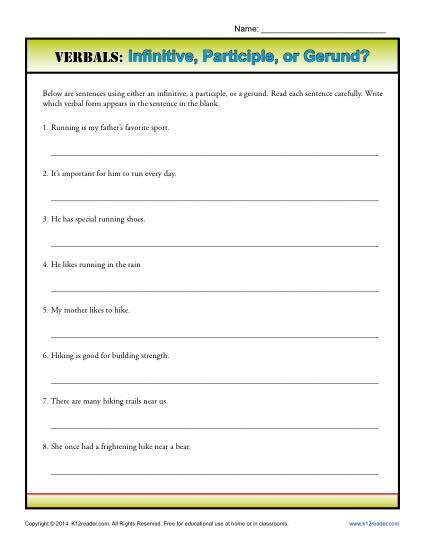 This worksheet asks your student to identify the verbal in seach sentence. You’ll like it for Common Core Standards for 8th grade Language, although you may use it for other students, as well.